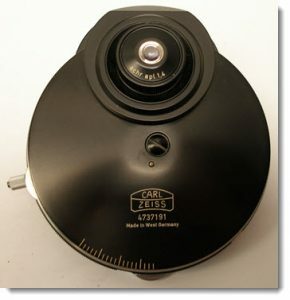 If you need a replacement condenser for your microscope, then we can help. 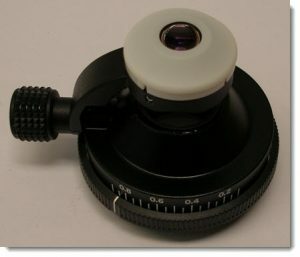 We have a selection of new and used microscope condensers for microscope brands such Leitz, Zeiss and Olympus. If you can’t find what you’re looking for, then please don’t hesitate to contact us. 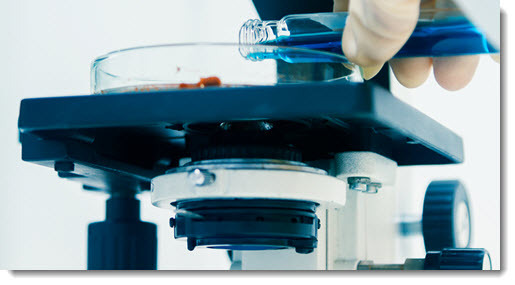 We’d love to hear from you, and find out exactly what microscope condenser you’re looking for. 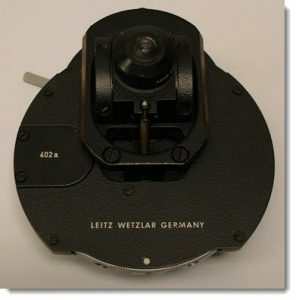 Here are some of the Leitz microscope condensers that we currently have in stock. If you don’t see what you’re looking for, please contact us with your exact needs. Used Leitz universal phase condenser. Suitable for Leitz Laborlux, Dialux and SM lux microscopes. 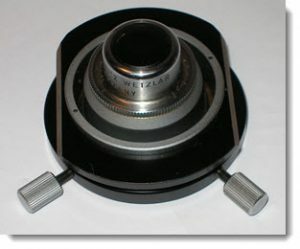 Used Leitz flip-top condenser. Suitable for Leitz Laborlux, Dialux and SM lux microscopes. 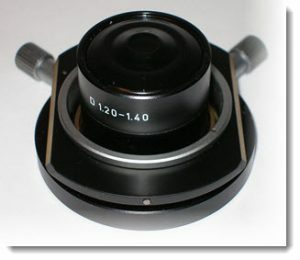 Suitable for Laborlux, Dialux, SM-Lux and Ortholux microscopes. In this section you’ll find Meiji-Labax microscope condensers. If you don’t see what you’re looking for, please contact us. We have numerous Olympus condensers in stock. Below is just a small selection of what is currently available. If you don’t see what you’re looking for, please contact us. The Olympus BH2-AAC is a high-quality achromatic aplanatic brightfield condenser which allows full correction for all aberrations. The BH2-SC condenser with a swing-up top lens allows effortless change between n.a. 0.9 and n.a. 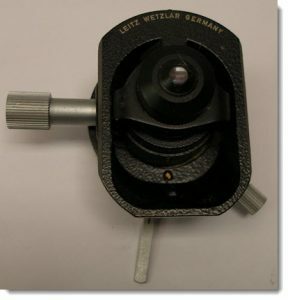 0.16, and is suitable for a wide range of magnifications. 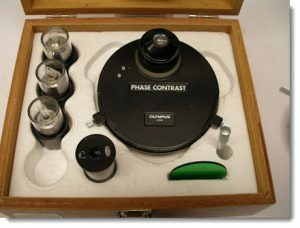 This Olympus phase contrast set has had virtually no use, and is in excellent condition. 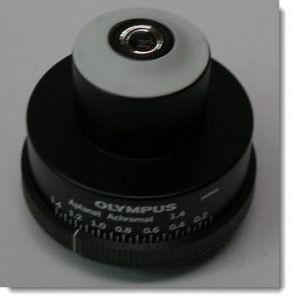 It is suitable for use with the Olympus BH and CH model microscopes. Includes phase telescope and green contrast filter. 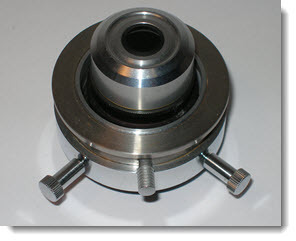 In this section you’ll find condensers for Reichert microscopes. If you don’t see what you’re looking for, please contact us. Used Dark Ground Condenser in removable dovetail mount. 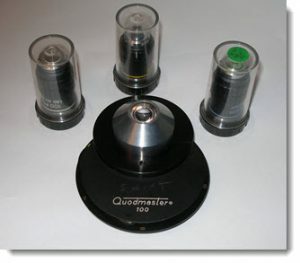 In this section are listings for Swift microscope condensers. If you don’t see what you’re looking for, please contact us. Here is a small sample of the Zeiss condensers that are currently available. If you don’t see what you’re looking for, please contact us. Used Zeiss universal phase condenser. 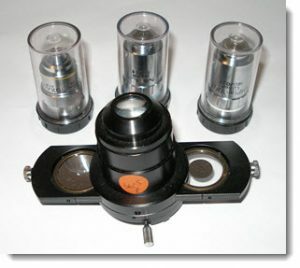 Suitable for GFL, WL and Photomicroscope 1 microscopes.